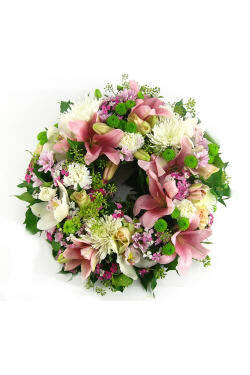 Add Wreath to your order? Although there was not such an option on the web site, of course, somehow, on purpose or not, the wreath was made in colors of Latvian flag and that was what I really wanted. Thank you Nadina and all the team! Arrangement was delivered on time and beautifully done. 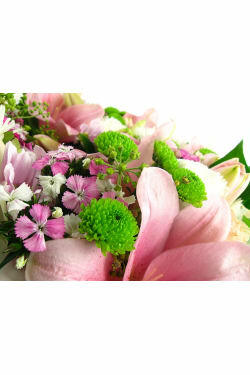 Easy website to use for ordering with a large variety of arrangements available. Very timely delivery. The flowers were exactly as in the photo!